It's the soft, subtle sound of tousled ocean waves; the salty sea breeze rummaging through flexible palm trees; and ice chunks firmly clinking down into your glass, which will soon fill with Caribbean rum and fresh fruit juice. Yes, St. Kitts offers the classic Caribbean concoction for the senses – full of the flavour, sights and sounds that you yearn for from your dusty office desk – but if you listen closely, you'll hear more than that, too. It's the laughter of your kids, whooping as they soar through the jungle on a sturdy zipline; the revving of an engine as you tackle never-before-seen roads; and the cha-ching of a slot machine when you've won big. St. Kitts is calling, and it has more to offer than you could imagine. Don't believe us? Read on below. Welcome to the best place to watch the sunset on St. Kitts. Salt Plage is an open-air lounge perched on the lip of Christophe Harbour. 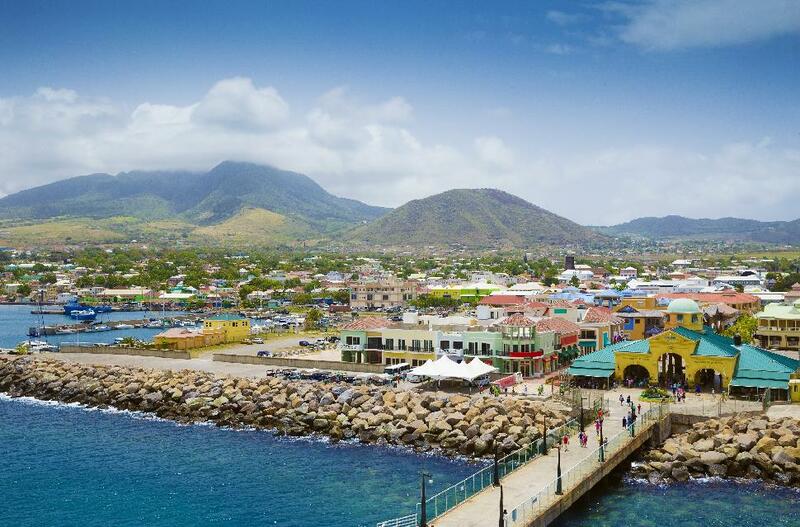 Views of the water are framed by the island's capital – Basseterre – and the mountains of St. Kitts in the distance. Salt Plage boasts rustic-chic ambiance with beautiful lighting and a large deck that extends out into the Caribbean Sea. Head over around 5 p.m. for some alfresco lounging as you admire twilight unfolding across the horizon. The food is delicious, the drinks are refreshing, and the view couldn't be better. Try a signature cocktail crafted by Christian, the resident mixologist. Whether you are out for a special romantic evening or just want to relax with friends and family, this postcard-perfect view is a must-see. Spending an afternoon at the Christophe Harbour Marina will satisfy luxury-loving visitors. Shop upscale boutiques like Joya, which carries labels including Camila, Vanita Rosa and Ilesteva. 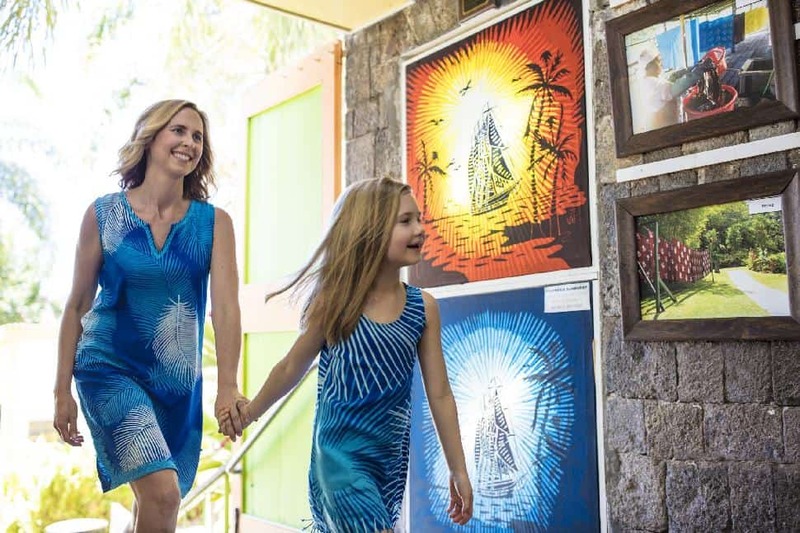 For a taste of local art, visit Kittitian artist Dale Kelley. Dale creates fine art, sculpture, pottery, leather goods, jewelry, glassworks and more alongside several artists who are all members of Dale's local art collective, iFlamboyant. Wrap up a leisurely afternoon with a coveted dinner reservation at The Pavilion. This private beach club is exclusive to members, but visitors can enjoy the experience by calling 24-hours in advance. It's well worth the small effort to savour contemporary Kittitian cuisine made with fresh, local ingredients. Seaside views are complimentary. Well before Europeans arrived, Amerindians were the first people to inhabit St. Kitts. 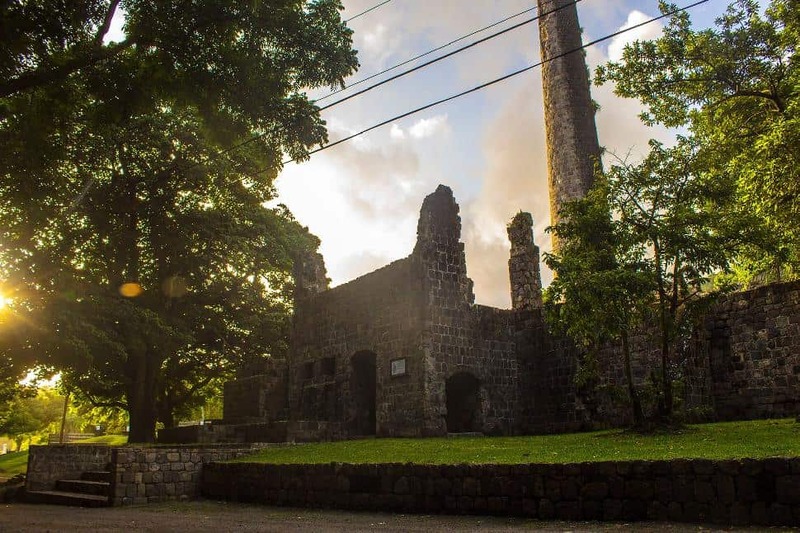 To take a peek at their history, head to Wingfield Estate, one of four places on St. Kitts that has petroglyphs. The petroglyphs of Wingfield Estate are considered to be one of the finest examples of rock carvings in the Lesser Antilles; they are also one of the most accessible on St. Kitts. It is said the Carib Chief Tegreman, an influential tribesman, ruled several islands from his community here along Wingfield River. Wingfield Estate has a more modern history, too. Establish in 1625, it was the first land grant issued by King Charles I in the entire British West Indies. The Estate has made many transitions over the ages. Its mill operations evolved from animal power to water power, and then finally to steam power. Visitors can explore the property's many historic buildings which have interpretive graphic signs that explain things like how sugar was made from cane, and how rum was made from sugar. 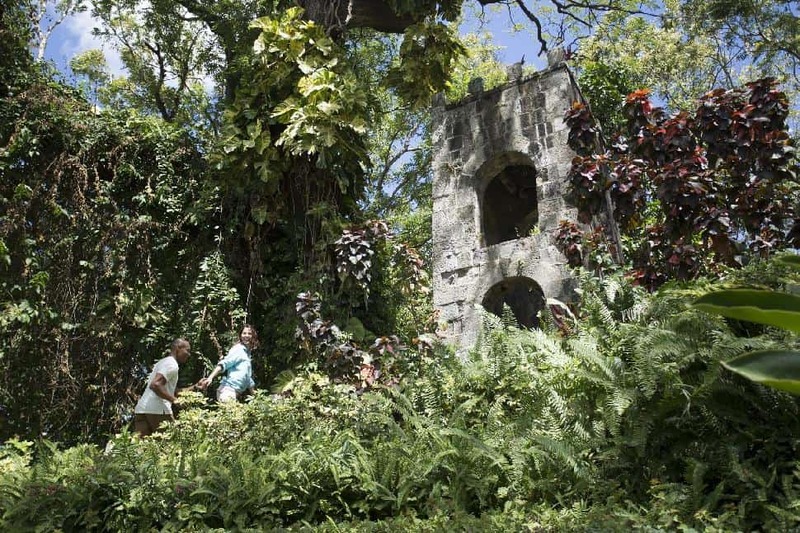 Out here, it is easy to envelop yourself in times long past to discover unique Caribbean history. A few steps away from Wingfield Estate you will find Romney Manor, home of Caribelle Batik. Here you will find an amazing batik studio producing handmade and locally designed batik textiles. Caribelle Batik artists explain and demonstrate the centuries-old batik process. Watch as the artists convert white fabrics into colourful textiles, soon to be made into vibrant shirts, ladies clothing, accessories, gift items and artwork. No two pieces are exactly alike, so you can take home something completely unique. Next, explore the property's impressive botanical gardens. The gardens spread across 10 acres and you can't miss the crowning jewel: a 350-year-old Samaan tree. When you're ready to put your feet up, drop by the Rainforest Bar to sample the iconic "Jefferson" rum punch. Relax in a rainforest setting overlooking the mountains. If you feel the need to get adventurous, head to the Sky Safari located at Wingfield Estate. If you've never enjoyed the thrill of zip lining before, this is the perfect environment to give it a whirl. Sky Safari uses the latest technology to ensure your experience is safe, easy and unforgettable. Seriously though – does anything compare to zip lining through the rainforest?! As you whip through the sky, take in the captivating views and breathe the fresh Kittitian air. This is one of many ways to have an adrenalin-fueled afternoon in St. Kitts. Maybe you prefer to get your thrills on the ground; maybe you prefer it on wheels. Even better: four wheels and one revved-up motor. In something of an adventure-hub for adrenalin-junkie travellers, Spectrum ATV Tours is conveniently located directly adjacent to Sky Safaris. Whiz along St. Kitt's many hidden trails in the lush island interior. Keep your eyes peeled for monkeys in the canopy above – you might not see them, but they are watching you! This experience is literally off the beaten path. So, you've gone zip lining, and now you are craving more excitement. (We don't blame you.) We've got good news: where wind meets water you don't need petrol to get high-octane thrills. Head over the trusty staff at Beach Addiction, an adventure tour operation that specializes in kitesurfing, Flyboarding, paragliding, sailing, and stand-up paddle boarding. If you're feeling nervous, ask for Nick (an internationally qualified SCV boat captain, IKO kiteboard instructor, and trained Flyboarding instructor). If been dying to learn how to kitesurf but are (understandably) a bit intimidated, you can be assured you're in very capable hands. Be forewarned, though – this hobby is known to be addicting. The term farm-to-table is a commonplace term on menus these days. Situated on a 400-acre organic farm, Belle Mont Farm lives the ethos. Ingredients it can't get from its own fields, it supplements with hand-picked local purveyors. Enjoying a farm-to-table dinner at Belle Mont Farm of Kittitian Hill means an open-air dining experience dramatically set in the middle of the farm. Diners can feast on a 12-course tapas-style tasting menu while making new friends at the 30' communal table. How's that for farm-to-table? Of particular interest to brunch-crazed Canadians, Belle Mont Farm also hosts Sunday Brunch. Every item on their varied menu is local (except, of course, for the Champagne. But we'll forgive them that one). Let morning slip into afternoon as you nibble on tapas-style breakfast and sip mimosas. Let's be honest... there aren't too many places left in the Caribbean where you can enjoy a beach all to yourself. But there's one place that'll get you pretty damn close. Sandy Bank Bay is a spectacular crescent-shaped beach on the Atlantic coast of the Southeast Peninsula. Dotted along the shore are the discreet and elegant properties of the Christophe Harbour development. Now here's the secret: the beach itself is often totally deserted on weekdays. Pack a bag, take a picnic and enjoy the privacy. Is there any better way to enjoy a tropical paradise than from the bow of a boat? And what better way to sail than on a sleek catamaran with an attentive crew making sure your glass is never empty, that the music never stops, and that you're having the time of your life? 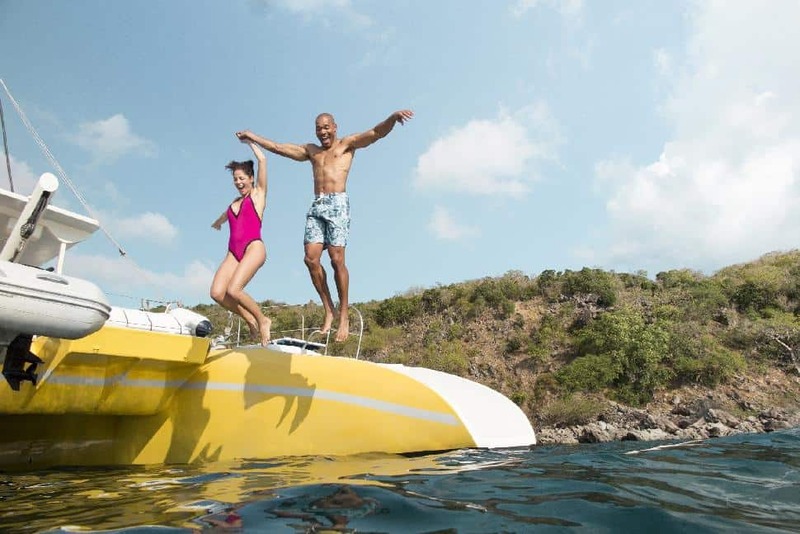 The twin islands boast a number of sailing operators, but the most popular are catamaran excursions by Blue Water Safaris and Leeward Islands Charters. You need only pick your package: half-day, full-day, sunset/sunset-dinner cruise, or a moonlight cruise complete with a bonfire on the beach. Swoon. 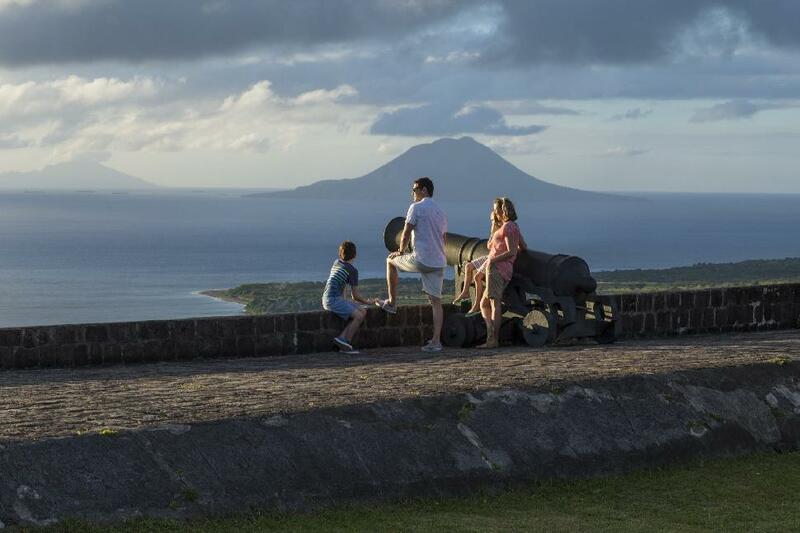 A trip to the Federation would not be complete without visiting St. Kitts' sister island, Nevis. Roughly 10 minutes away by water taxi, this sleepy island has a rich history and many hidden gems. Nevis deserves more than a day (if you have the time to kill). And with the selection of beautiful boutique hotels, we're pretty sure you'll make it happen. For water taxi pick-up/drop-off options, contact Wincent Perkins at Islander Watersports. If you're looking for the shortest route, you'll want to travel from Reggae Beach to Oualie Beach. Once you've arrived at Oualie Beach, take a taxi ride into Charlestown where you'll find the Museum of Nevis History. Alexander Hamilton, most often associated with the hit Broadway show, was born on this very spot. Take the self-guided tour and discover what his early life was really like. Hungry? Good, because there are endless palette-pleasing food options. Continue your journey up to Golden Rock, which is a hidden treasure situated high up on the slopes of Nevis Peak. 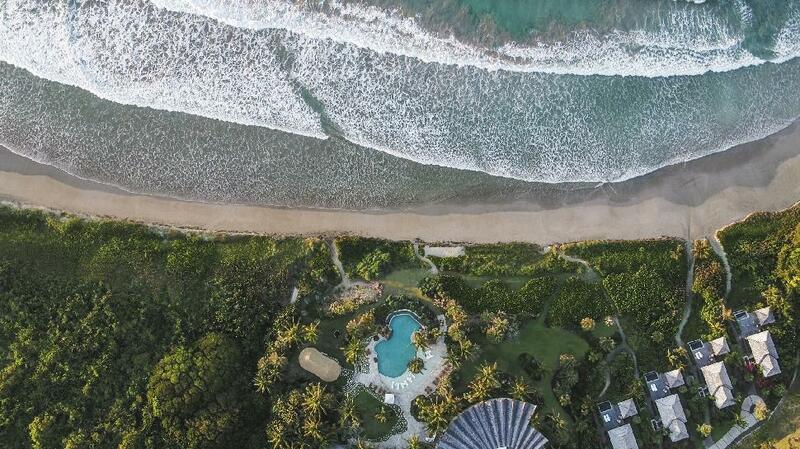 The grounds are exceptional, recently landscaped by renowned designer Raymond Jungles. 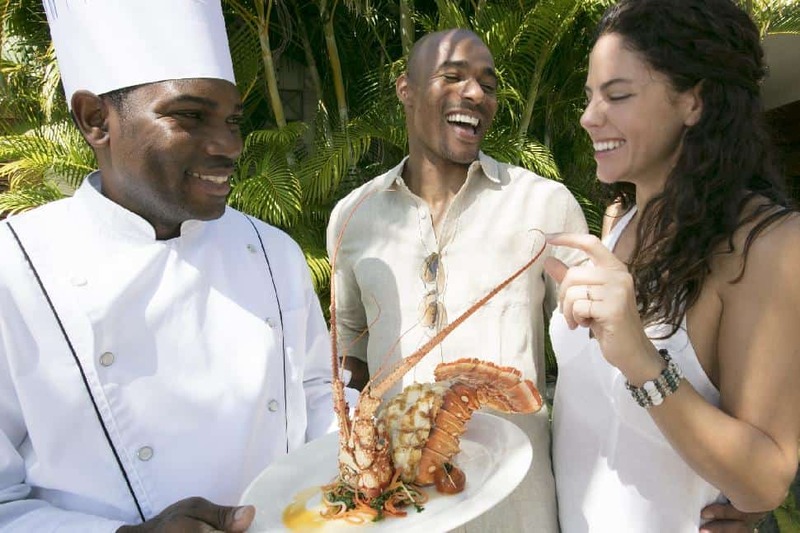 The verdant flora, stone architecture and lively Caribbean cuisine create an unforgettable epicurean experience. From here, travel to the Botanical Gardens of Nevis. These gardens are filled with sculptures and fountains that complement an array of blooms ranging from roses to orchids to citrus fruit trees. The garden also includes a vast tropical rainforest conservatory, built to emulate the conservatory at Kew Gardens in England. The Botanical Gardens are slightly off the beaten path, but worth the visit. It is relatively inexpensive to enter and you can stay as long as you please. If touring all day has left your throat dry, head over to Sunshine's on Pinney's Beach for a world-famous Killer Bee. This delicious cocktail is crafted by the larger-than-life owner Sunshine. They are tasty, but be forewarned: don't overindulge. Those who do tend not to remember the boat ride back to St. Kitts. Soak in the bliss at the Spa at the Four Seasons Resort in Nevis, which boasts its own herb gardens that reflect the fertile nature of the island. They offer a range of different treatments, but the Caribbean Fusion Massage comes best recommended by locals. This restorative full-body massage uses essential oils and minerals to leave the body and mind completely relaxed. 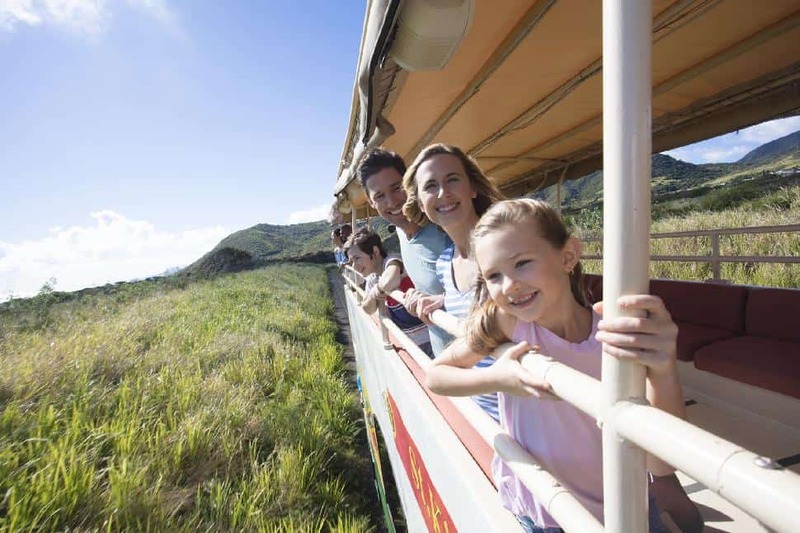 Well before it shuttled visitors, the St. Kitts Scenic Railway transported sugar cane from the plantations to Basseterre. Today, the narrow gauge train's function is more leisurely. Travellers can tour the entire island of St. Kitts on a three-hour, 30-mile loop. Sip piña coladas in the parlours of air-conditioned rail cars or on the open-air deck platforms above. You'll love the toothy grins of uniformed school children waving at the train as it rolls by. 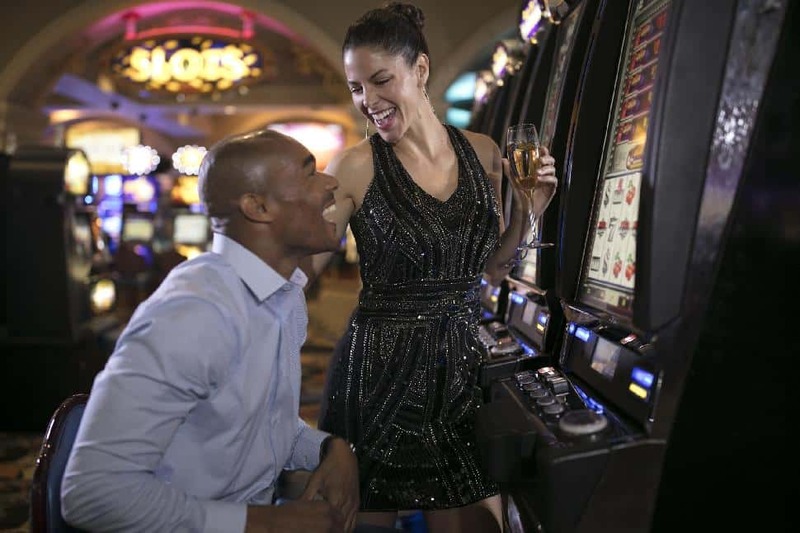 If you fancy a game of chance, try your luck at Royal Beach Casino. There's slots, tables, race and sports betting. The Casino's newest addition, Sky Ultra Lounge, offers a guests a mod space to meet for drinks or catching up on major sporting events. Considered a national treasure, this UNESCO world heritage site symbolizes the importance of St. Kitts to the British colonial ambitions during a crucial time in world history. More importantly, it is a monument to the skill, strength, and endurance of the enslaved Africans who built it. Construction of the fortress began in the late 1600's and took one hundred years to complete. Walking to the citadel affords visitors the most astounding views of St. Kitts and neighboring islands. If Hemingway lived in St. Kitts, he would take a mid-morning coffee and a fresh baked pastry at the old artistic home, now Spencer Cameron Art Gallery, located on the north side of Independence Square. Head to Independence Square around lunchtime to take in the mid-day rush. Lunchtime is the crossroads for locals to head home while kids pour out of school. Walk over to the Ballahoo for lunch, grab a balcony seat and watch the world go by. Ballahoo is located in the Circus roundabout, which marks Basseterre's beating heart. Here, you'll witness life's sweet pattern in all of its forms. After a hearty lunch, meander down to the National Museum, located just a stone's throw away. Have a chat with one of the island's great personalities, Tony Frederick-Armstrong, museum manager. Still feeling good? Drift into Port Zante for a couple of cold Carib lagers and some retail therapy. Port Zante boasts duty-free shopping and is where you can find fine jewelry, as well as stock up on duty-free liquor for the balance of your stay. Just past Saddlers Village, you'll find St. John's Anglican Church in Bellevue Village where you will find the natural wonder of Black Rocks. These volcanic formations are the result of pyroclastic lava flows when Mount Liamuiga erupted centuries ago. Don't worry, the volcano has lain dormant for centuries. The scenery it left behind is out of this world. Gather your snorkel and fins and hit the beach for some underwater explorations! If you forgot to pack your own equipment, snorkel gear can be rented at Reggae Beach Bar (at Cockleshell Beach), Mr. X's Shiggidy Shack (at South Frigate Bay Beach) and several other locations. Peer beneath the calm waters of Cockleshell Beach and South Frigate Bay Beach for a glimpse of St. Kitt's gilled residents. White House Bay offers curious snorkelers two accessible wrecks. You don't have to be a world-class angler to snag a trophy in these waters. Sport fishing charters take visitors to kingfish, barracuda, shark and snapper. Rates for private fishing charters run about $400 USD for a four-hour trip and include fishing equipment and refreshments. A stroll through the rainforest is so much more than it appears when you're walking with Oliver Spencer. In a former life, Spencer served as the president of the St. Kitts Horticultural Society, which makes him perfectly qualified to lead personalized guided rainforest tours. As a guide at Periwinkle Tours, he offers bird watching, historical excursions, and tours to the crater of Mount Liamigua. Absorb the beauty of the rainforest while learning about 300 varieties of ferns, orchids and plant species. Get ready to dig into some local comfort food. Sprat Net is an unpretentious dining hall that caters as much to locals as visitors. Start at the bar for a drink and then place your order for fresh caught lobster and fish. Want to make it surf n'turf? Pair your seafood with their famous ribs. Next, fill your plate with brimming extras like corn, salad, rolls and more. (No one goes hungry at Sprat Net.) Swing a leg over a picnic table and dig in. If you visit on Wednesday night, you'll be treated to live local reggae music. Sprat Net is located in the village of Old Road, just a short ride from the northwest of Basseterre. Nicknamed 'The Strip', South Frigate Bay Beach is a long stretch of sand with mellow waves, warm waters and good times in the form of a variety of bars, restaurants, and music. 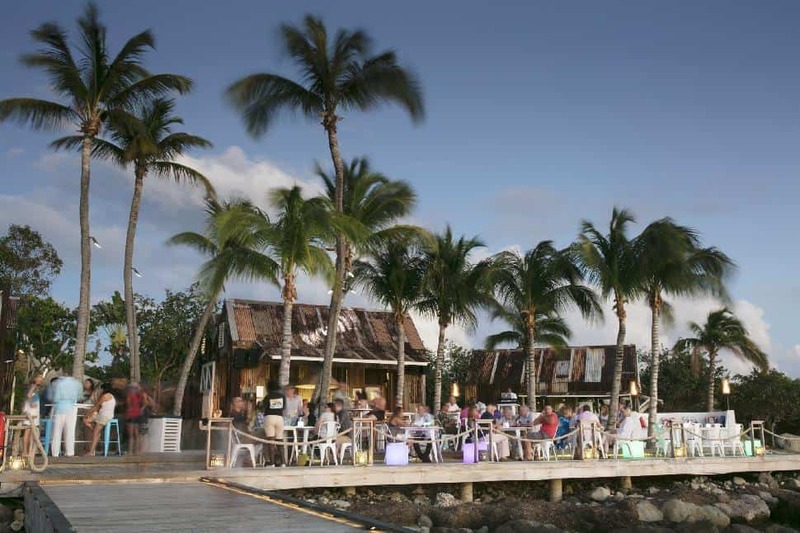 Start at The Dock at Timothy Beach Resort meander down to Mr. X's Shiggidy Shack and Chinchillas. Later, head to Cathy's and Vibes Beach Bar. All the bars and restaurants offer a unique atmosphere. Moreover, The Strip is where locals and visitors come to mingle. Those looking for friendly nightlife need look no further. It doesn't get more Kittitian than El Fredo's, an authentic eatery on the Bayfront. You won't be counting dollars either, so dig in and sample it all. This busy restaurant serves up excellent local favourites: oxtail, goat water (stew), fresh fish, curried chicken and veggie sides. An upside to dining here is the company; El Fredo's is the destination of choice for many local regulars. Go ahead, rub elbows! Go ahead, take a mulligan, we know how distracting the views are. Standing on the tee box at hole 15 of The Royal St. Kitts Golf Club is both intimidating and awe-inspiring. By playing on this course, it means you've played the only course in the Caribbean that straddles both the Caribbean Sea and the Atlantic Ocean. 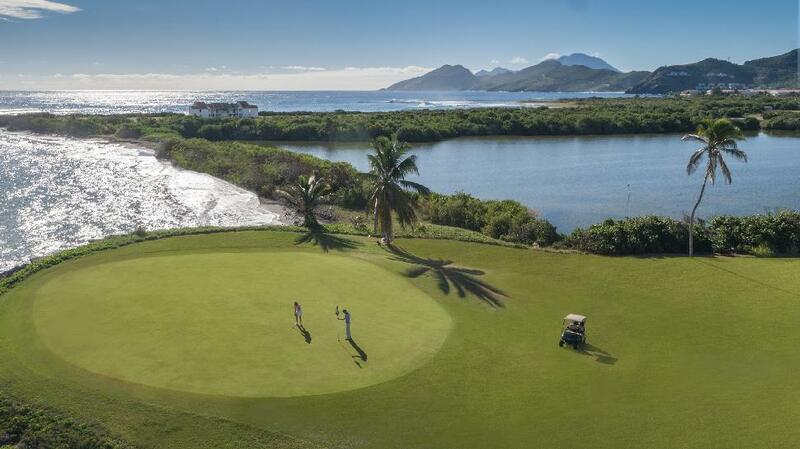 For an equally pleasant afternoon of golf, head over to the Four Seasons Resort in Nevis for a round that offers a unique experience. The course starts at sea level and meanders up the slopes of Nevis Peak. This course also provides spectacular panoramic vistas across to sister island St. Kitts and the Caribbean Sea. This fabulous beach offers so much variety, with Reggae Beach Bar down at one end, Lion's Bar in the middle and Spice Mill on the opposite side. It offers one of the Caribbean's most iconic views and caters to just about any taste, from local inexpensive to the somewhat sublime. It's a fantastic destination, soon to be in good company with the Park Hyatt located at the neighboring beach Banana Bay, due to open later this year. If you're staying in Frigate Bay and looking for something a little more casual, take a morning walk to The Mill for rich, bold coffee and a fluffy omelet. If you want the ultimate in casual, have breakfast on the beach. On weekend mornings 8 a.m. - 11:30 a.m. Gary at Mr. X's Shiggidy Shack serves up a classic English breakfast. Behind the bar, Tom mixes a mean bloody Mary. The bold and hungry should save themselves for a belly-filling Full Monty. Few visitors are aware that an exquisite AAA culinary experience awaits them at Marshall's. Each plate is served with a panoramic view in this oceanside dining room. Verral Marshall's cuisine is a refreshingly simple, yet elegant, mix of local ingredients accompanied by cultural elements that make up a New World of Dining. Reservations are highly advised. It takes a leisurely 90 minutes to drive around the island. Or, depending how often you stop, it can take all day. The south coast of St. Kitts screams Caribbean, while the north shore embraces the wilder Atlantic. On a clear day, you can spot up to seven islands. Along the way, you'll pass lovely old churches, villages, sugar mills and, at all times, stunning views of the central mountain range. You might spot migrating whales; you will almost always spot monkeys. Pull over wherever you fancy. The locals are friendly, the drinks are cold and the views are sensational. 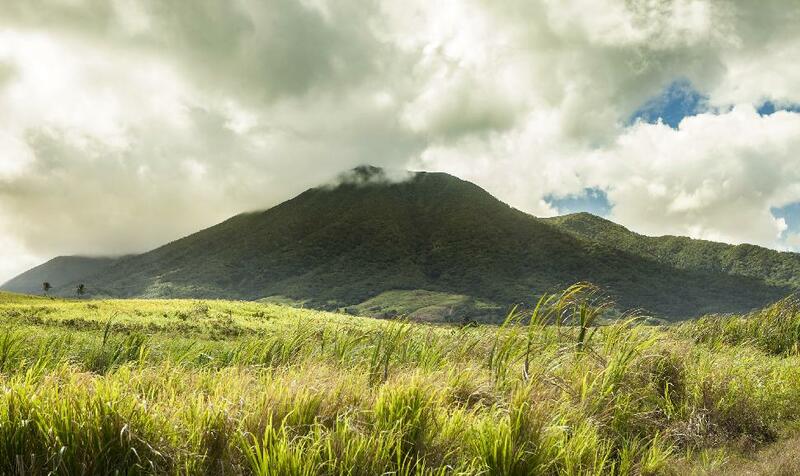 St. Kitts boasts a majestic dormant volcano. Mount Liamugia makes for stunning scenery, but it also makes an incredible hike. At 1,156 metres, the climb is not for the faint of heart. Those who do conquer the trail will trek through rainforest and wild orchids to the crater on the top. As it’s a very strenuous hike, it’s wise to negotiate a price with a local guide. Throughout the spring, endangered leatherback turtles waddle up the sand to nest and lay their eggs. You can learn about the turtles and even go to Sea Turtle Camp with the St. Kitts Sea Turtle Monitoring Network. This experience comes with a price tag you can feel good about—the permit fee goes directly to conservation efforts that work to keep these adorable creatures safe. Ready to plan your summer holidays in St. Kitts?